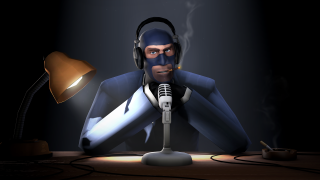 Welcome back to The PC Gamer Show, of our weekly livestreamed podcast. You can catch the show live on Wednesdays at 1 pm PDT on our Twitch channel, or after the fact at any of the links below. This week we'll be sharing some of our experiences VR as we continue to write furiously about the Oculus Rift and HTC Vive as part of VR Week. We'll also reflect on Overwatch's recent buttroversy, discuss the recent Hearthstone expansion, and Chris Livingston will be on hand to talk about the Fallout 4 survival mode beta. It's VR Week here at PC Gamer! A character pose in Overwatch was recently the center of debate. Fallout 4's Survival mode is here. Tom goes missing, part 1.